Introducing Silver Odyssey! -Odyssey combines the exciting reflective shine of our original Flash product along with a deep rich texture. 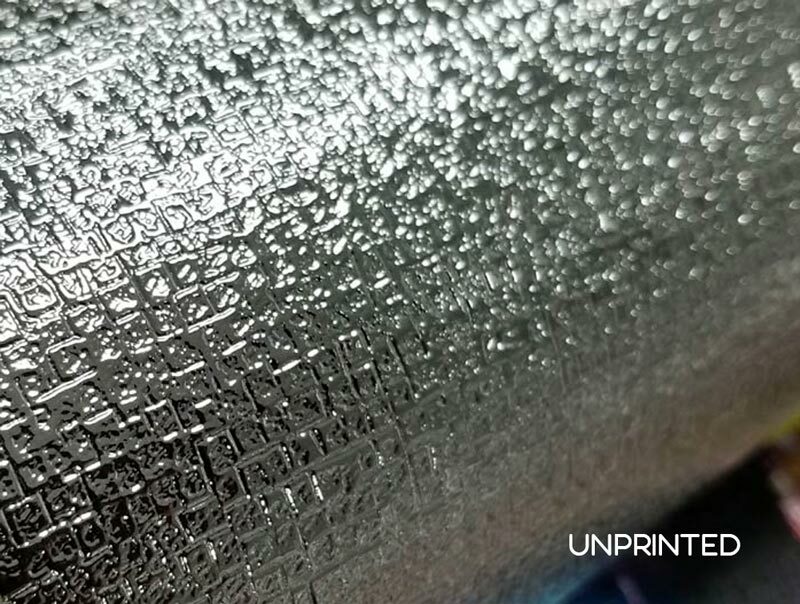 Flash products are intended for UV curable inkjet systems (other ink types like solvent, eco-solvent, latex, or aqueous, may not adhere properly to the polyester face. 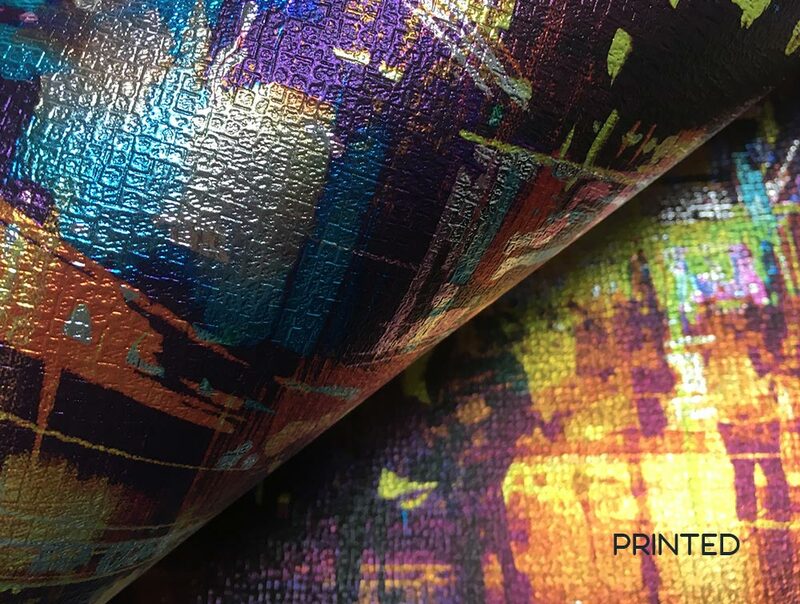 With Silver, Gold, Black and new Copper Flash-designers, artists and printers can create a modern, high-end look with brilliant silver chrome, copper, bronze, black and gold colors. 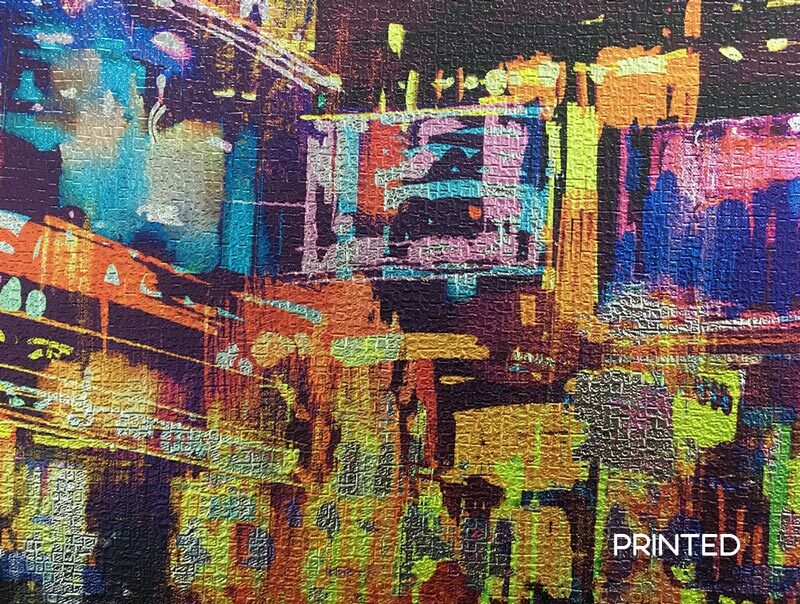 Iridescent colors are created with combinations of white and colored inks. 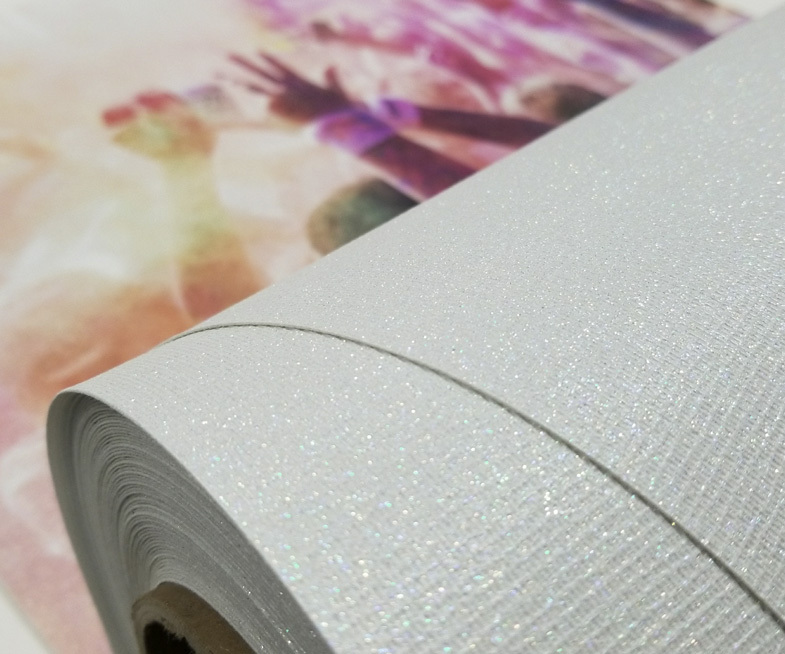 Graphics can be designed with “drop outs” to allow the highly reflective silver gold black or copper base to add dimension, emphasis or sparkle to the design. 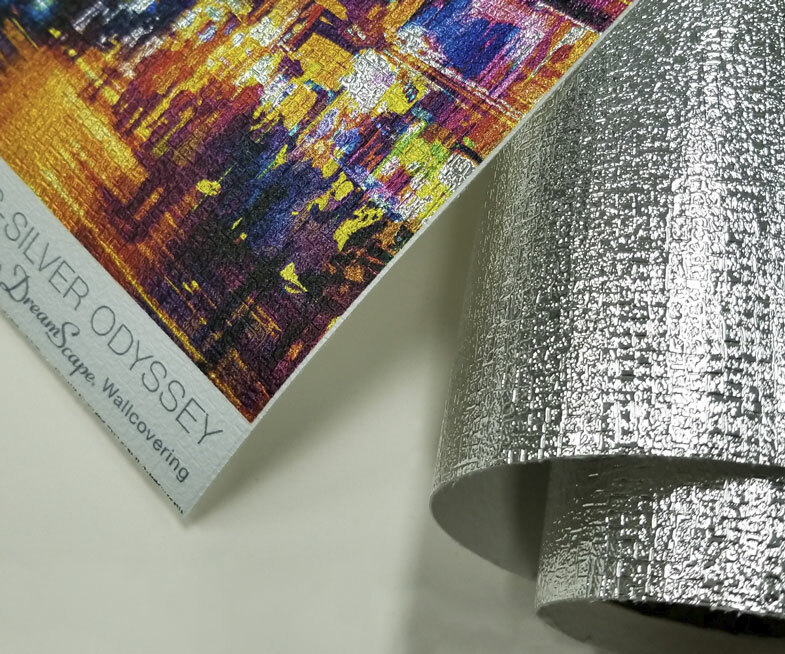 Silver Odyssey also meets the digital printing industry standards for materials that enhance image impact and color, depth, dimension and durability. 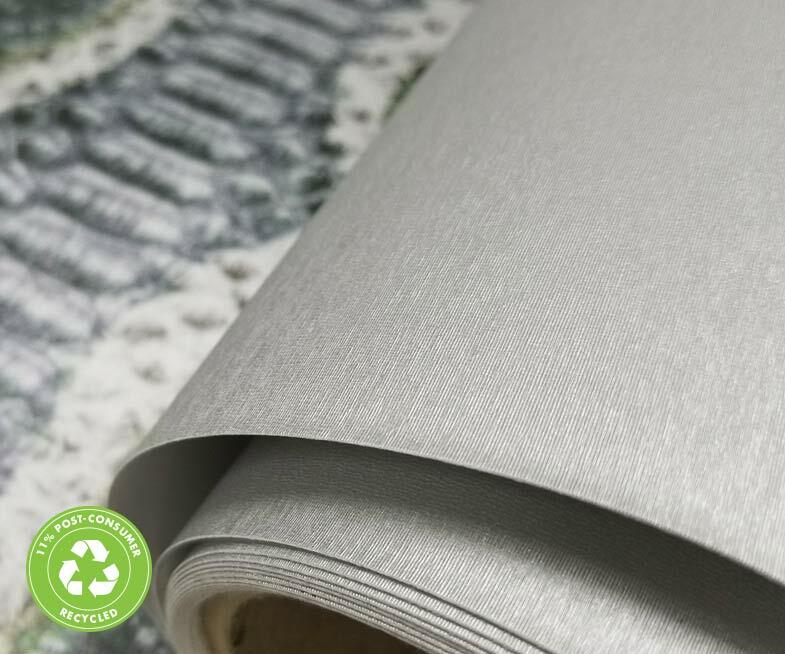 These new products are a Type II commercial digital wallcoverings with Class “A” fire ratings. All are is ideal for both short run and high-volume digital production applications and available in 75, 150 and 300 foot lengths. 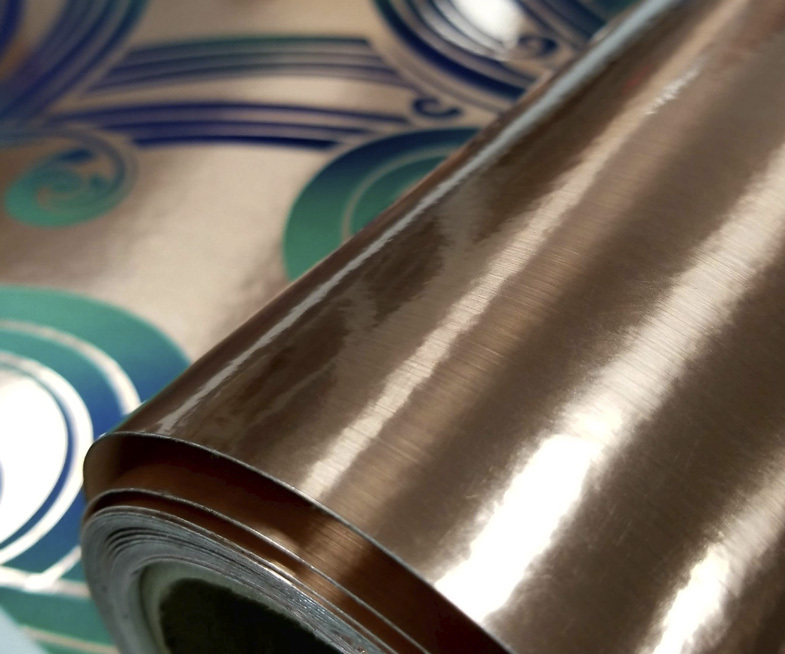 Delivered on 3 inch heavy-duty cores with no production splices, the new media comes in 54 inch width rolls. Trial rolls (27” x 15’) are available for sampling.